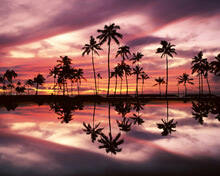 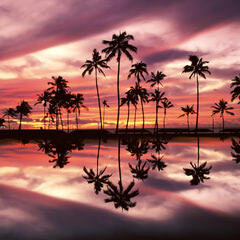 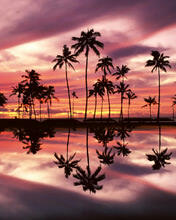 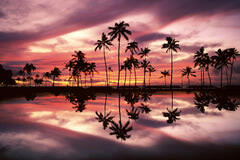 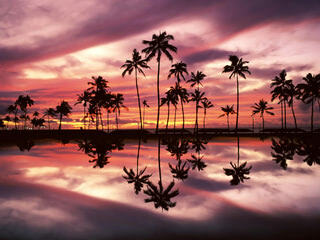 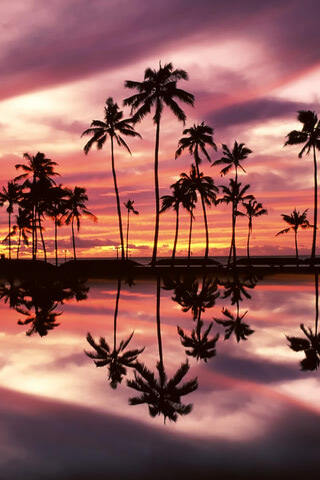 This beautiful wallpaper with the calm, serene water and the palm trees makes you feel more at peace. This lovely beach is located at the Ala Moana Beach Park, Honolulu, Oahu, Hawaii. 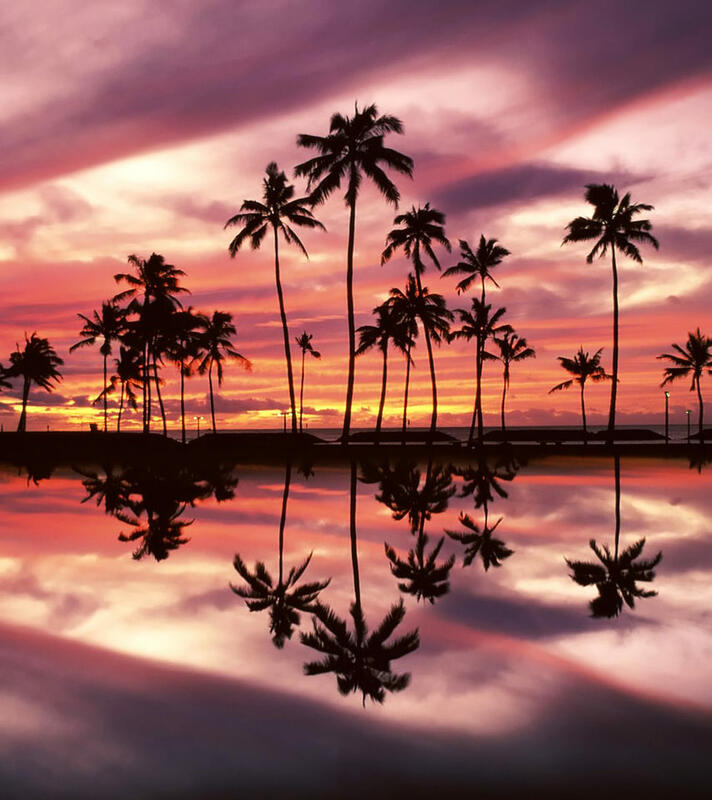 It seems like the ideal place to go if you wish to have a vacation that allows you some time to rest and enjoy the views. 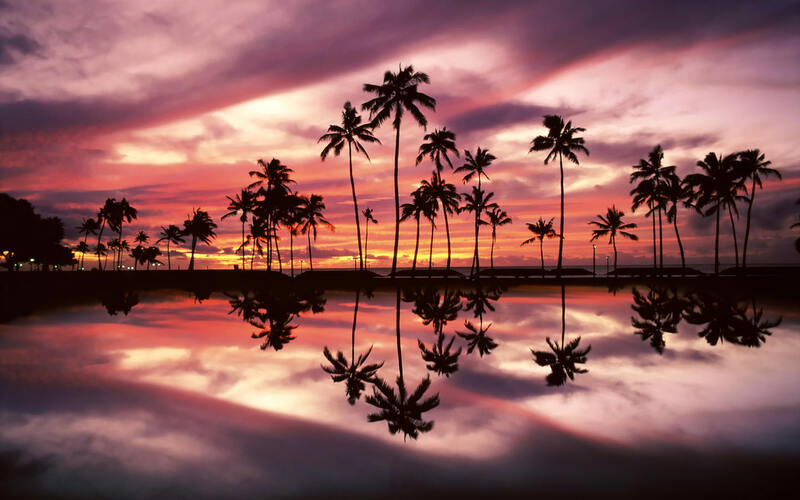 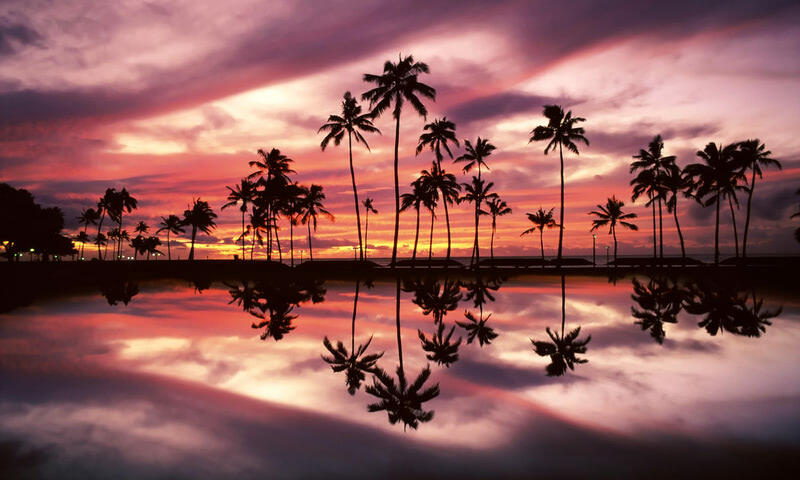 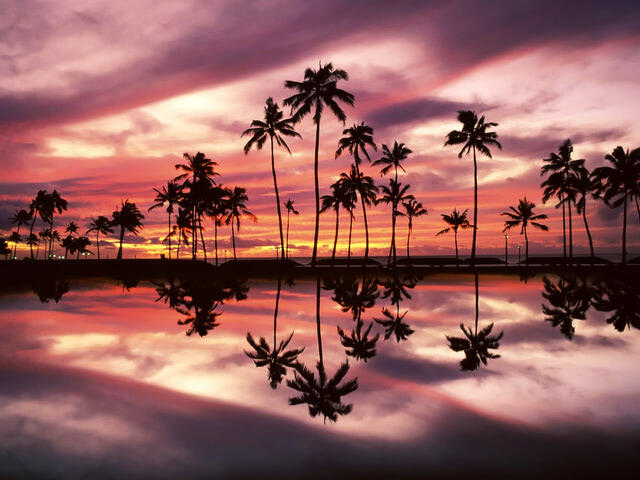 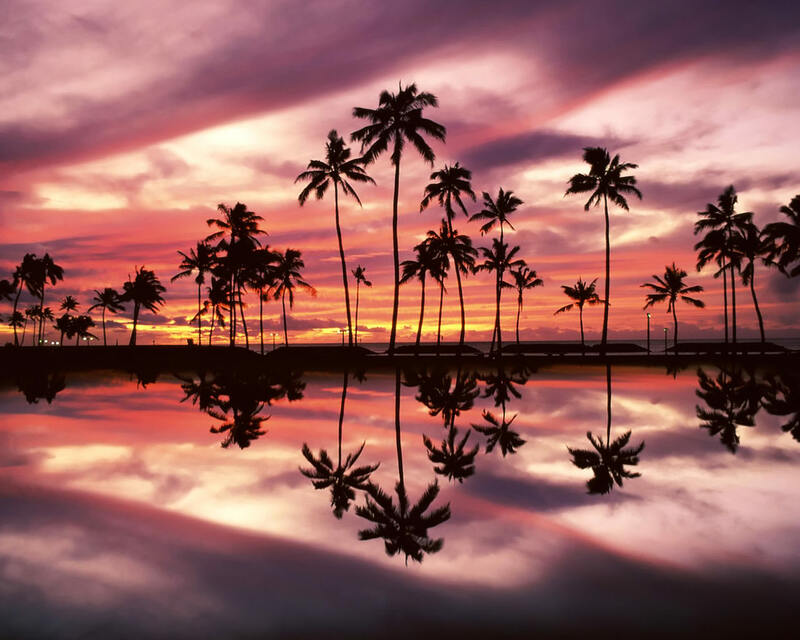 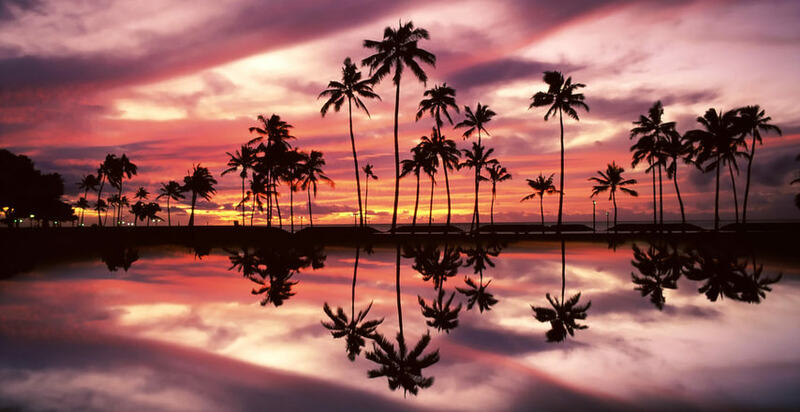 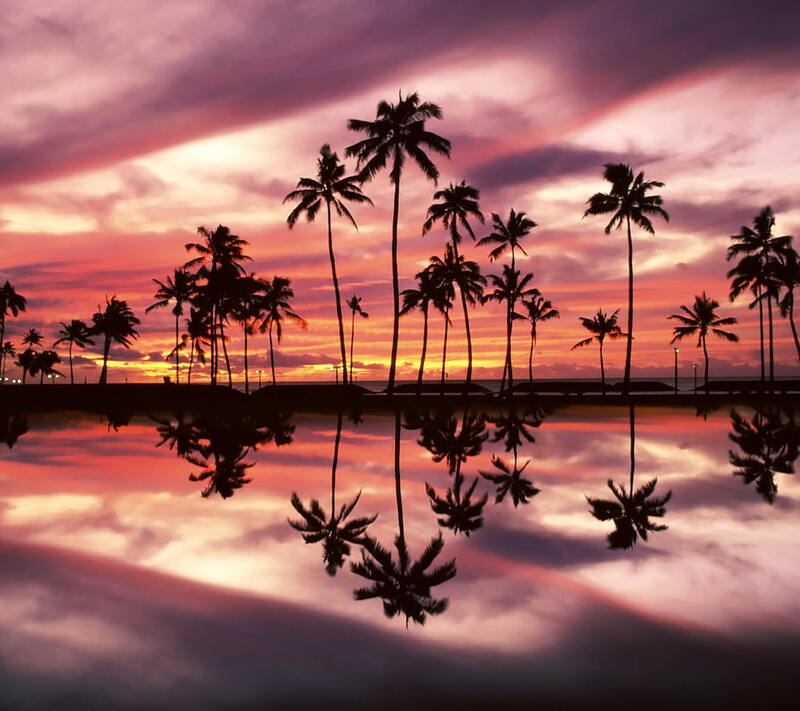 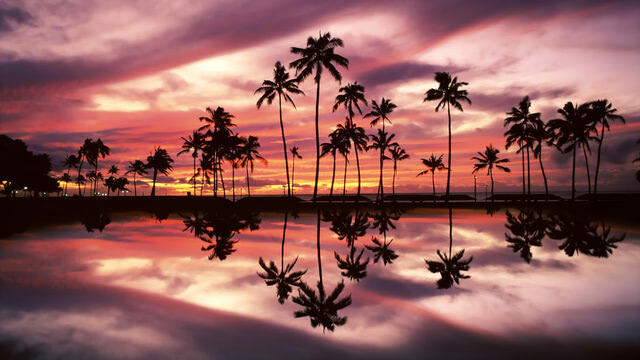 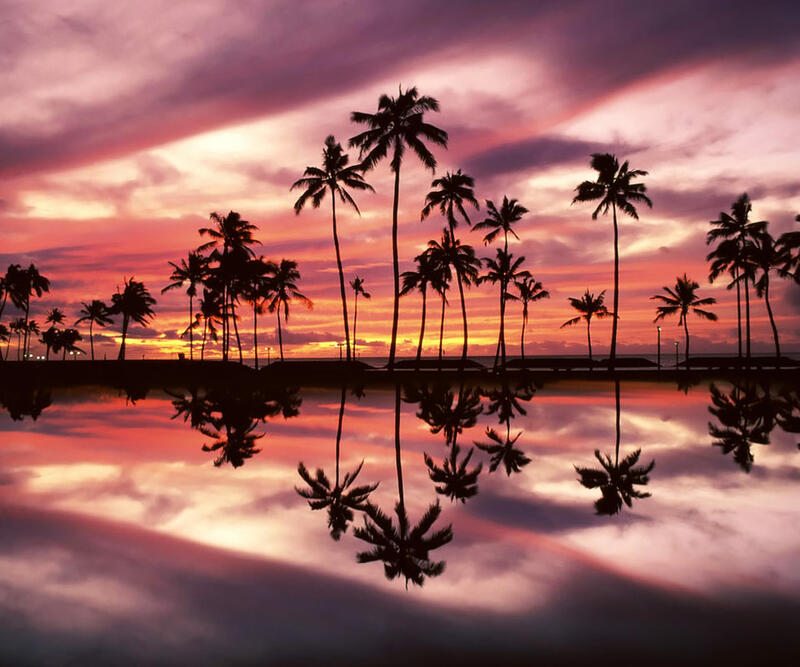 The attractive colors in the sky set against the palm trees has a soothing effect on your soul and the reflection of the palm trees in the water depicts how calm and still the water really is there. If you love to see the changing colors in the sky, then this particular wallpaper with the awesome red violet sky is sure to catch your eye. 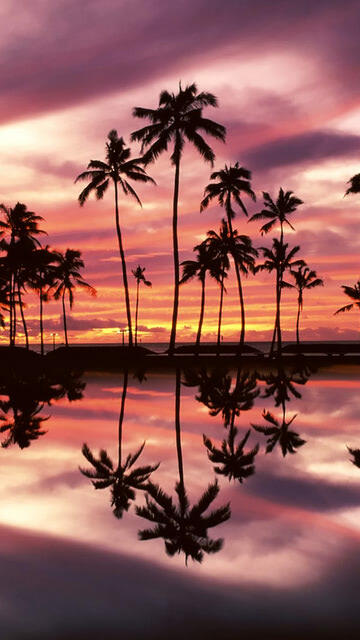 If you enjoyed this beach wallpaper, please leave a comment and tell what you think about it or you can subscribe to the RSS feed to have future wallpapers delivered to you.